When you are testing mobile apps, you know how much important tools are. Apart from helping us achieve higher productivity, they also uncover some hidden aspects of application. AT&T ARO is one such tool which you will find immensely useful while testing mobile apps. 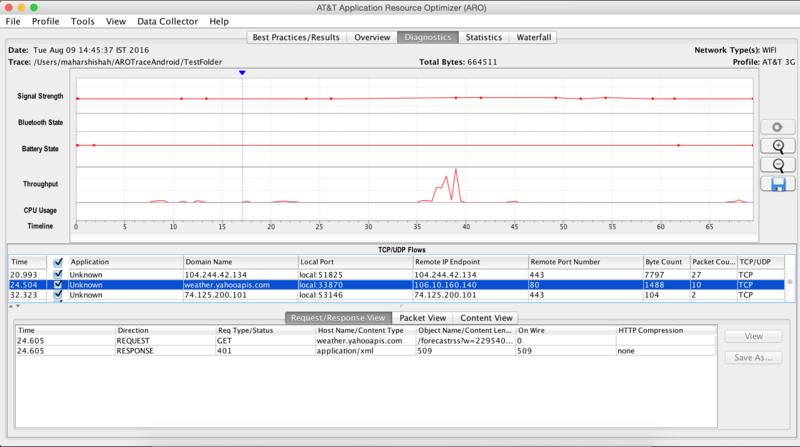 ARO (Application Resource Optimizer) is a free and open source tool by AT&T Developer Program. It diagnoses the application for mobile best practices, exposes hidden problems and provides recommendations to fix them. It pinpoints the source of data and battery consumption. It does not require rooting or jailbreaking of device. Apart from identifying problem, it also provides details to fix that issue. Supports Android, iOS, Windows and Mac platforms. Supports web, native as well as hybrid mobile apps. Check out some screenshots of this tool. Below are some tips to carry out effective testing with this tool. Derive some scenarios and use your app the same way users would. Check this trace in ARO. Keep tab on battery usage to identify battery issues. Use app features which requires lot of network activities. Also, check app in various states such as Bluetooth, GPS, Airplane mode etc. Keep your app idle and test baseline battery and network activity. 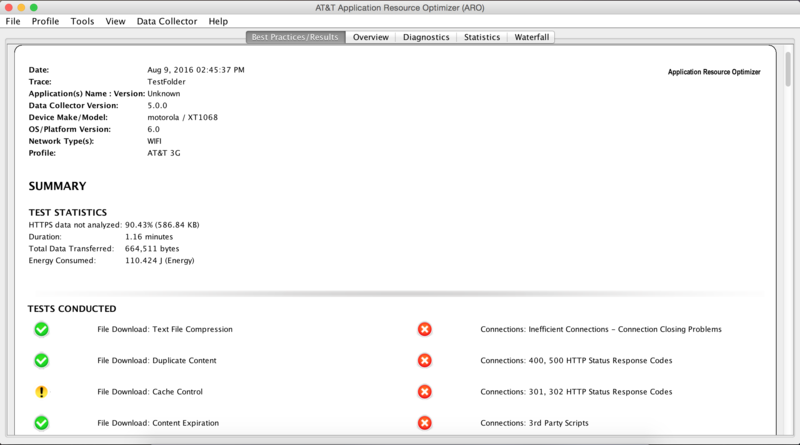 Test app in different network profiles(Eg. LTE, WiFi, 3G) already available in ARO. Other than these scenarios listed above, you can use this tool to test whole lot of other scenarios. Since this tool is free, we encourage you give it a try. So why not download it and let us know your feedback in comments?